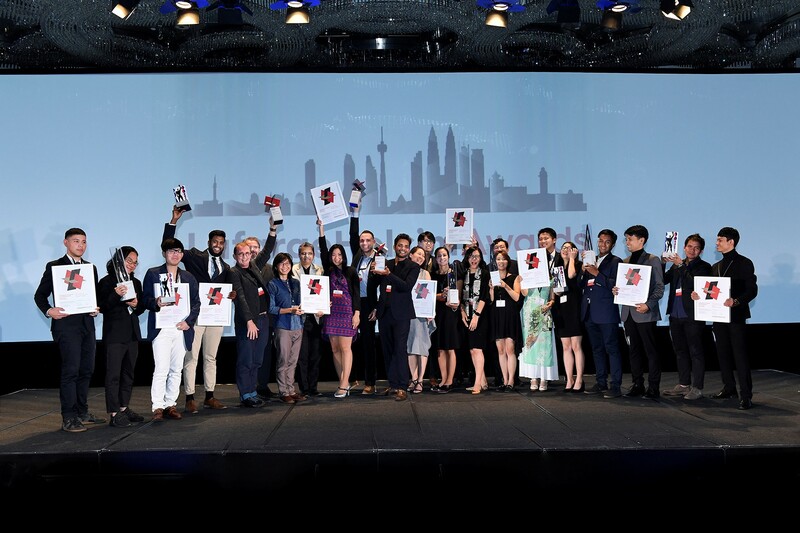 Eleven LafargeHolcim Awards prizes were presented at a ceremony in Kuala Lumpur, honoring sustainable construction projects across Asia Pacific. The diversity of cultures, countries, and climates of this region was perfectly reflected in the more than 1,100 projects submitted. The three main Awards winning projects dealt with buildings for education – involving the community and sustainably improving neighborhoods. The promotion and dissemination of knowledge is a recurring theme in the LafargeHolcim Awards – and is reiterated within the project by SHAU from Bandung, Indonesia. Their landmark pavilion in a park, providing not only a public library, but also storage facilities, public toilets, and a prayer room, won LafargeHolcim Awards Silver. WOHA from Singapore designed a university building that floats on a pond in Dhaka, Bangladesh. This project could become a benchmark for sustainability in the Asia Pacific region, and received the LafargeHolcim Awards Bronze. 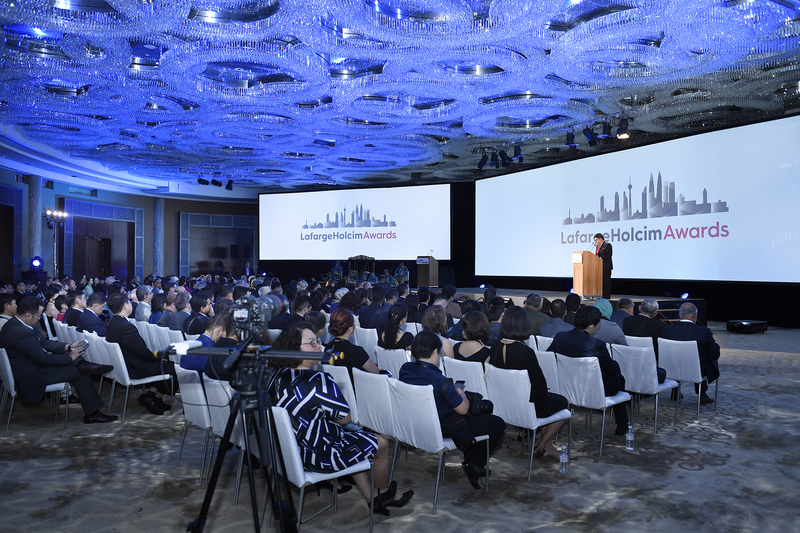 This is the fifth time the LafargeHolcim Awards has been conducted and more than 200 projects have been awarded worldwide. The LafargeHolcim Building Better Recognition is awarded to a winning project from a previous competition, one which has been built and has stood the test of time as a particularly successful example of sustainable building. In Asia Pacific, the inaugural recognition went to Robust Architecture Workshop in Colombo, Sri Lanka, represented by Milinda Pathiraja. Their design for a community library in Ambepussa, Sri Lanka, built with the support of former army personnel engaged in the nation’s civil war, shows that “turning swords into ploughshares” can be realized even today. 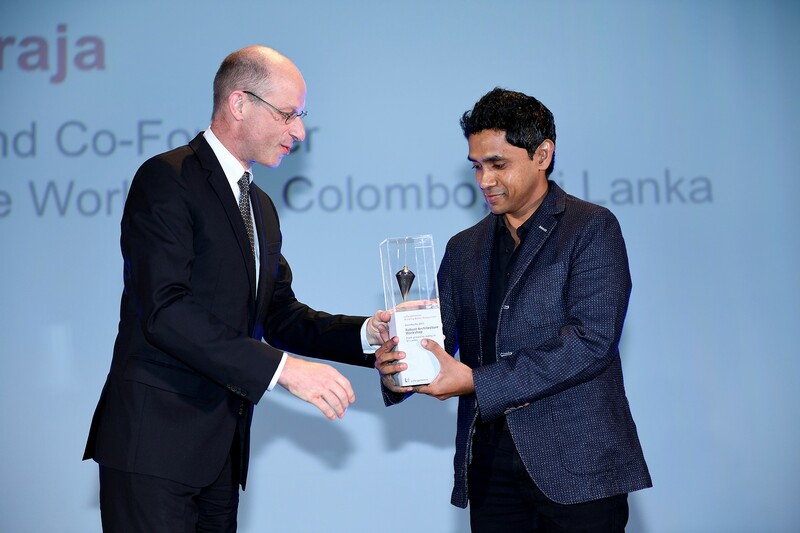 The trophy was handed to Milinda Pathiraja by Daniel Bach, Area Manager LafargeHolcim for South East Asia and China, in the presence of more than 300 guests, diplomats, and media representatives. Read about the Awards prize-winning projects and their design teams, including videos, photos and jury appraisals.